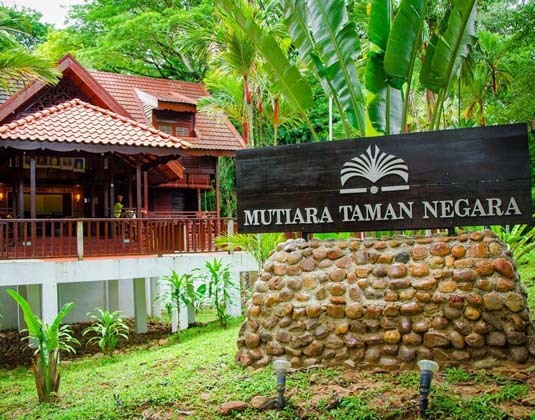 Perched above the junction of the Tembeling and Tahan Rivers, the Mutiara is the only resort situated within the park. To ensure minimal damage to this special ecosystem, the property is dimly lit to avoid scaring off wildlife, everything used is biodegradable and all the wooden chalet interiors are made of natural produce. Sighting wildlife outside the chalet is common with the fruit season particularly attracting mischievous long-tailed macaques, beautiful chestnut-breasted malkoha, the thorny porcupine and gentle loris. In forest view bungalows with shower, kitchenette, dining and living room, safe and veranda. 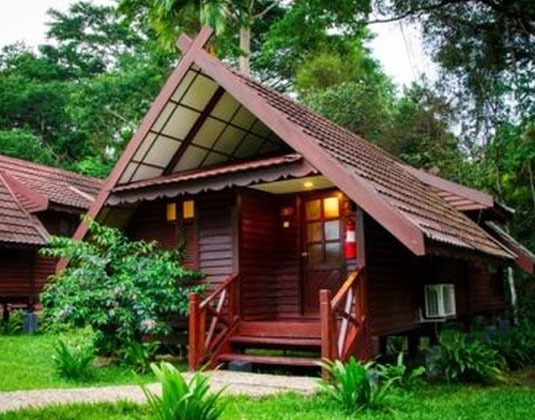 Chalet suites which overlook Tembeling River and the jungle.